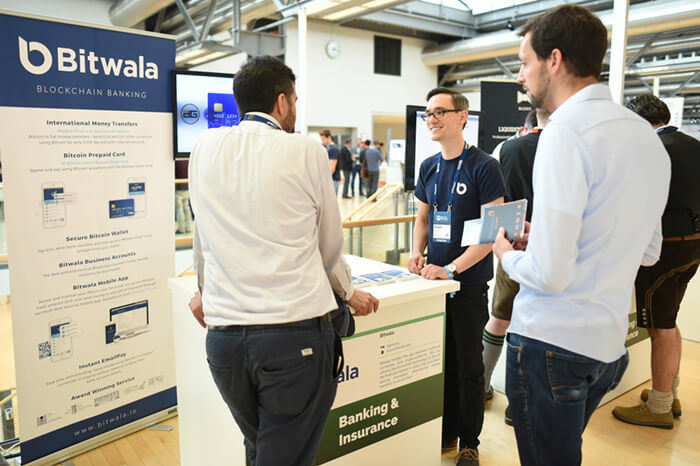 showcase your startup to leading investorS! Don’t miss the opportunity to present your innovative and exciting product to investors, media representatives and 5,000 other attendees. Find investors, boost awareness, build up business relationships, expand your network, and get inspired by others. It’s a must-attend for startups! We know that budget is usually a very limited resource for startups; that’s why we offer the exhibition space „for free“. You buy three regular startup tickets and get the exhibition booth on top with no extra charge. You buy three regular conference tickets and get the exhibition booth on top with no additional charge. 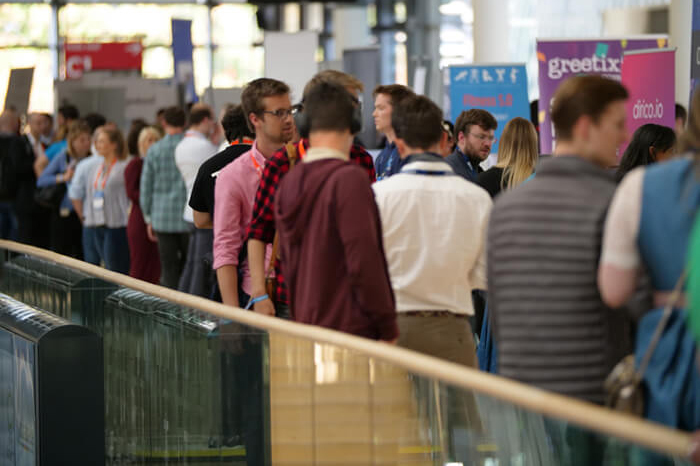 Showcase your startup to 5,000 attendees on ONE of the two conference days. Your startup will be listed on our website, in our networking app and will be included in our newsletter. As an exhibitor, you will be included in one of our newsletters before the festival. Your startup will be listed in exclusive startup booklet for investors and corporates. inveox develops systems to digitize, automate and connect pathology laboratories. With an innovative automation system, inveox increases efficiency and safety in laboratories. As a result, the risk of potential misdiagnoses is significantly reduced. The CREATORS EXPEDITION is the auto-tech startup program with focus on Autonmous Driving, Electrification and AI. Its Expedition Program provides startups an independent entry point to the automotive industry with a strong market leader in the back. Paper patient records are history! Now you have ArdoCARE - an easy-to-use, customizable EHR solution ensuring digital curation of hospital and patient data. ArdoCARE is looking for investors in healthcare industry through information technology. Augmentaio develops innovative Augmented Reality projects for the retail and industry sector, as well as software to allow live maintenance procedures and automated training. We also innovate the way of navigating through big venues and public areas. Beep Analytics has created the world's first predictive analytics platform for Aerospace OEMs and Distributors, enabling aircraft suppliers to build a comprehensive matrix map of customers and products, to improve sales and supply chain planning. BetterTaxi is a meta-booking platform for taxi and airport transfers. Customers find, book and pay through Web, App or API. They get highest coverage and find the best available offers instantly. The capacity is larger even than the UBER network. We are first bank account that comes with built in cryptocurrency trading and an integrated bitcoin wallet. Our vision is to bridge the gap between Euro and crypto and our account does this by managing everyday expenses and crypto in one place. Blockeeper provides an interface for self sovereign financial management including the tracking of the personal context of transactions in a private layer. With BlockKeeper, the idea of being your own bank becomes reality with a beautiful interface. Hi there, we've been searching the market for a decent PPM software (Project Portfolio Management). We didn't find any. So we created CANRI - our own! Yes, not disruptive. Yes, boring. But - it scales like hell. Small to mid enterprises will love it! Simply better cashflow management. COMMITLY makes it simple to track your company’s cash flow and create plans. Automated forecasts free up resources for you and your team. COMMITLY is more meaningful than your bank account and better than Excel. Cell Garden is developing a smart gardening device called Cell One. It is a sprouting machine for urban people where fresh superfoods can be easily and quickly grown at home. It's all about organic sprouts, microgreens, activated cereals and nuts. "Centraya is built to meet the highest requirements for data privacy in cloud applications. We are protecting your data in cloud based CRM, HR, ITSM or any other application against unauthorized access or data theft. Only the customer owns the keys." "CheckYeti - The number 1 for outdoor activities. CheckYeti is the largest online marketplace to find, compare and book outdoor and winter sport activities in Europe with 7,000+ directly bookable offers in 600 destinations across 8 countries." Introducing procurement which gets smarter every day - NEXT LEVEL PROCUREMENT. launching the first virtual procurement manager which virtually sources logistics services instantly, autonomously and entirely data driven by artificial intelligence. More than just time tracking for small and medium-sized companies. CoffeeCup combines superfast time tracking, absence management, team planning and powerful reporting to a sweet package, that users love. Commute Time Map is a platform to find and visualize areas reachable by public transport and other means of transportation within given time. We help people to choose optimal place to live, work or stay. Because time is more important than distance! Customer relationships are like real-life relationships - a journey along meaningful moments. Brands like Deutsche Bahn and HelloFresh have chosen our Customer Data & Engagement Platform to create these relationships across all marketing channels. We develop and implement digital tools for organizational culture development. Our Culturizer web-apps are highly innovative, beautifully designed and incredibly impactful. DOODs is a digital tool for increasing employee-performance through scientific personality profiles, continuous pulse surveys and instructions for solving special challenges. DOODs is sparking a culture of appreciation, participation and evolvement. DYNOSTICS is a smart system for metabolism analysis and determines the current nutrition + fitness level in just a few minutes on the basis of their respiratory gases. The app generates nutrition and training recommendations tailored to the own body. Data Insights is an innovative IT consultancy that specializes in high quality “Big Data Consulting”. We support our clients in analysing, understanding, and in exploiting complex data, with the goal of developing data driven (product) innovations. DataLion is a cloud-based business intelligence software for data visualization and data science. We help companies find new and relevant insights in their data and create beautiful online reports and dashboards. 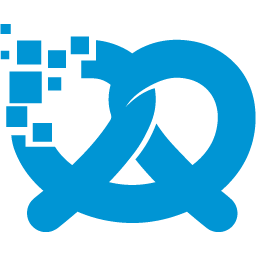 DataOS is a security automation suite with blockchain integration for fully automated key and license as well as identity and end point management. We provide the tool for security DevOps managers in the world of increasing connected devices! DealMatrix - THE Platform for Unified Intelligent Innovation Scouting Receive, Evaluate, Manage Startup-/ Company data with intelligent processes. Scout startups in our database and collaborate internally and externally fully GDPR compliant. Design4real is a marketing focused agency that is specialized in developing brand stories for clients in the new immersive media like Augmented Reality, Virtual Reality and 360° video. When 4 people with passion for new technologies, creativity, strategies & disruption come together the output is far beyond standard. easy|R is a unique and ready-to-use AR-platform for everyone, working on IOS and Android. Visit us and get your WOW! Digization easily: Just Connect & Run. Configure your own dashboards to monitor your machine, production or company data in real-time. Always and anywhere. A browser ist enough. Additionally organize your machines their own maintenance by themselve. Quality personnel in the health care-, food- and medical industry spends countless of hours tracking temperatures, reacting on deviations and managing calibrations. Euprys eliminates this and adds higher quality - it's easy! ExpertLead is a B2B matching platform for top tech freelancers. We identify the top 5% by using a thorough screening process - incl. coding tests, live coding -, and support our customers on complex, digital implementation projects. The FMS GmbH considers itself as a service provider and developer of holistic solutions in the field of future mobility. Prospective topics such as digitization, highly automated driving and innovative mobility concepts are our fields of action. FinmiSys-Financing with System-is the first virtual interest rate optimizer that calculates an optimal financing offer for mortgage loans including subsidies automatically in seconds using an algorithm. Gearrilla offers a web platform for people that want to rent out their outdoor gear as well as people who need outdoor gear but don’t want to own it themselves. Honeypot is Europe's tech job platform for Software Developers, DevOps, Data Scientists, Product Owners, QA and Engineering Leaders. Honeypot is the quickest, easiest and most efficient way to build and scale engineering teams. INNOSPOT is specialized in Startup Scouting around the globe by using an AI-based Search- and Crawling-Technology. By automating an unstructured and highly manual process we help to find the best Startups for cooperations and strategic investments. INS offers hardware independent Augmented Reality indoor navigation. Our solution enables precise 3D positioning, intuitive navigation and displaying the right digital content at the right spot. Our SDK runs on all Operating Systems. We are the leading provider for municipalities, counties and economic regions to digitalize all fields of urban development.The software comprises an iPad app, a database and a backoffice for urbandevelopment sites and a reporting tool for citizens. Injurymap helps everyone, everywhere find the right treatment for muscle or joint pain, and achieve a healthy and active lifestyle. Your next car - Online. Certified. Delivered to your doorstep. InstaMotion offers customers a full convenience experience with no hassle. The digital buying process enables you to buy & sell your car online. LOEWI provides a subscription-based end-to-end platform to make personalized health and nutrition accessible for the mass market. We at LarsLabs build smart sensors for location based services and asset tracking. Use them to send smart alerts if there is a change in proximity, motion, light, sound, elevation, pressure, humidity, air quality and temperature. LingaTel is a service provider for professional Phone and Video Interpretation in all lines of businesses. A sophisticated communication infrastructure and qualified interpreters facilitate flexible cross-lingual communication. We make the local store visible in the world wide web. Localyzer offers the fast, easy, scalable platform for multi-channel online-marketing campaigns for all local branches. With this we enable small and big companies to boost their local sales. Logoshuffle is a powerful logo builder based on artificial intelligence. It allows you to generate logo designs for your company or product in few minutes. Just enter your brand name and some descibing keywords to get new logo designs instantly. Attention Startups! We are ready to rock your business: storage, packaging, shipping & free integration of your webshop in our system. We will take care of your logistical needs so you can focus on your core business. MVP Factory empowers companies to build scalable high-quality technology products. Customers benefit from a fully coordinated development process and a global network of talented engineers, designers and product managers. 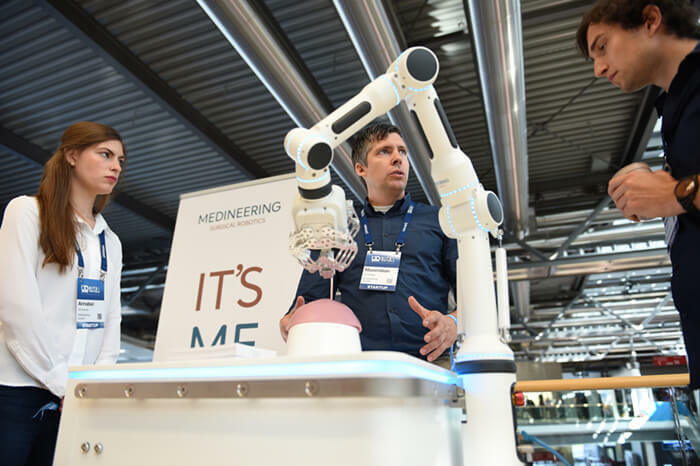 Medineering develops, manufactures and markets a modular platform for surgical robotics. With its application-specific robotic solutions, the company aims to make the benefits of surgical robotics available to a broad number of patients. MiWire help people in the outskirt to stay online and increase the data speed up to 10 times. It is designed for outdoor usage. With a data SIM card installed the directional antenna points automatically in the right direction. Motius is a unique German R&D company with a fluid structure that solves technical problems and develops products for international customers. 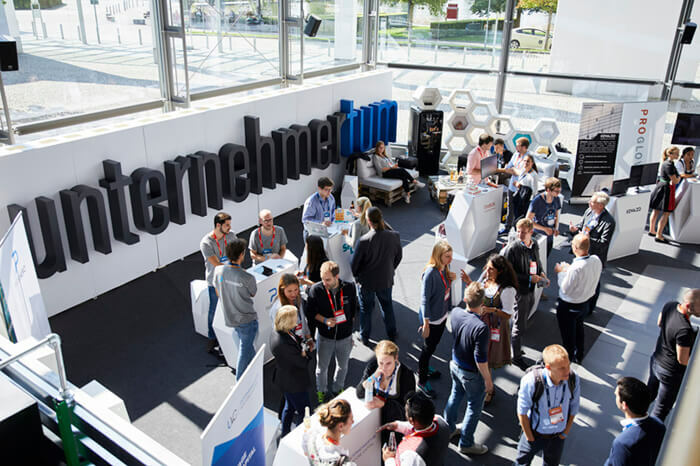 We have been voted as one of the Top 50 fastest growing startups in germany. Meet Neo, your digital AI-assistant for business. We are crafting an intelligent news eco-system - a spotify for News. Turn your desires into real life experiences! Shape the world around you to your personal liking! Create your own reality! Optimized experience via predictive analytics and location based services. A new era has just began! Pair Finance ist ein datengetriebenes Inkasso-Fintech für digitales Forderungsmanagement, das durch digitale Kommunikationswege und Verhaltensanalytik offene Forderungen säumiger Kunden effizienter, schneller und kundenfreundlicher realisiert. At PentaLock we hate people stealing our bikes! Thats why we developed our innovative product; a secure electronic security system that keeps the bike and its user safe. Designed in such way that if you break our lock, then you break the bike. Personio is a holistic HR and applicant management software designed for companies with 10 to 1000 employees As the HR operating system Personio enables companies to better recruit, manage and develop their people. PCDE matches innovative companies and software developers in an unconventional and target-oriented way. Companies pitch their jobs in front of 80 pre-selected devs. A complimentary online recruiting plattform will be launched soon. We help small businesses find the most fitting waste disposal companies. Pxio is a software infrastructure to revolutionize collaboration on digital visual information in meeting, event, or retail venues. Dynamically map realtime content from sources to displays using the network, create composite display walls, and more. QuisEs? is a WebApp that enables individualized attendee-booklets (Digital or Print) for Networking Events up to 100 attendees. The WebApp works in 3 easy-to-manage steps with a special spin. Attendees can import their LinkedIn/Xing profiles. We digitize the rail industry by providing a simple yet robust condition monitoring solution, which optimizes reliability and increases safety. It takes advantage of IoT and Big Data and reduces operating expenses. We ennoble glass at the ultimate level according to specific customer requirements. Taking our experience of having manufactured more than 1000 different lighting fields, we are your specialized contact for all innovative LED lighting solutions. Rydies operates a platform to digitalize & connect all offers for private, rented and shared bicycle mobility. Data and bookings of e.g. parking, sharing, charging services are integrated into third party websites & apps (first & last mile mobility). -40% employee turnover & -25% sick days. SACOSA helps companies attract & retain good employees with individual Health & Productivity coaching. Convenient, affordable, highly effective. Online, anytime, anywhere. SciScry shows its customers today what will happen tomorrow. Human fallacies cost a lot of money and market share. Our cutting edge software allows to forecast any KPI more accurately than humans do. With machine muscle we scry your business results. Smart Meals provides the way to conveniently purchase healthy and tasty ready-to-eat meals tailored to your specific needs and wishes. Giving you the energy throughout the day to achieve more, freeing time for the things you really want to do. Spectro Inlets had developed a breakthrough microchip technology that allows for real=time measurements of electro- and biochemical reactions. It is used for development of next-generation batteries as well as digitalised biogas production. Startak is a company with the purpose to develop solar tracking systems based on our unique Sun position sensor that will increase by 1-5% the production of a Concentrated Solar Power plant. This means an increment of revenue by 0,5-2 M€ per year. We support entrepreneurs in the implementation of their tech concept in form of app and web development. From the idea until successful launch and beyond. Stigo is a B2B scooter sharing company. We provide a fleet of electric vehicles for offices and buildings for monthly subscription. This allows business professionals to spend less time in traffic, to save costs and increase quality of life. Surcle.io is an online, crowd-engineering platform where engineers and innovators collaborate and compete in challenges from corporations, startups, and institutions with a focus on electronics and manufacturing. TSCNET Services represents secure power supply in Europe and successful energy transition. As a highly specialised partner and for grid security, we support power transmission system operators facing an ever increasing share of renewable energies. MoonVision's solution provides an efficient way to track objects in real-time, leading to increased control and productivity across market and industry. The MoonVision platform provides self-service capabilities to automate data preperation. TickETH is the first blockchain-based ticketing platform made in Germany. The platform is live and we successfully handled four pilot projects (e.g. TEDxFS event). It achieves low costs and high security through technology and efficiency advantages. Plan, start and grow your company successfully with Unternehmerheld, Germany’s leading digital platform for startups. The SaaS-solution enables to write a professional business plan, a state of the art financial plan and much more. Be a hero, too! Usercentrics offers a data protection SaaS solution for the website. The Consent Management Platform (CMP) enables companies to collect, manage and document the consent of their users enabling compliance with GDPR and ePrivacy Regulation. The navigation system for software. We enable people to operate any application instantly without handbooks, tutorials, or formal training. VRgineers is a startup developing and manufacturing cutting edge enterprise-grade VR gear for professionals. The high-res smart VR headset XTAL is used in automotive, industrial design or simulation, enabling clients to transform their work using VR. Viond operates a platform for the easy creation and publication of professional, interactive 360° experiences. With Viond every content creator can create stunning VR/360° experiences without any coding/programming skills. With our cloud-based platform you can bring all your products to life. Our Software-as-a-Service enables you to make your own product views in Augmented & Virtual Reality and build your own apps - on every device and every operating system. Wantedly's mission is to create a world where work drives passion. We connect talents and companies based on shared values! Whether you want to get inspired by amazing teams or are building a team, we will help you achieve your goal. YOOLOX develops charging products and services for mobile devices. We are specialists in wireless charging and believe in a world without cords, connectors, and cables. Our first product is a wireless charging portable charger / power bank. awamo offers a mobile, biometric core banking system (SaaS) to microfinance institutions in sub-Saharan Africa. It is affordable, easy-to-use, and platform independent. Wir geben dir die Tools, dein Gehirn besser zu kontrollieren und zu verstehen. Als Experten für Neurotechnologie haben wir für deine Anwendungsbereiche eine passende Lösung. Probier es an unserem Stand aus: Carrera fahren mit dem Gehirn. consentris is a European health tech company developing a revolutionary dynamic consent platform to connect and manage the sharing of health data (both digital and biomaterial) between individuals, researchers, clinicians and companies. Imagine a world where anyone can build electronics easily. We build software tools to allow anyone to be an electronics engineer. Our online platform allows users to define their requirements and intelligent algorithms generate everything they need. coview enables support teams to connect with their customers browser. Screen sharing, recording and remote debugging without any installation. We give your company access to the best Digital Minds. On our B2B platform, we match you with hand-picked Software Developers, Designers, Product Managers, Data Scientists, and Digital Consultants and help you hire, scale and, manage your teams. All-in-one-suite for social media and content marketing. Orchestrate your communication on all channels and platforms and manage your community with ease. Dresslife makes fashion shopping easy, like having your personal stylist. Our next-level AI finds clothing that customers like and fit across products and brands. We are digitalising the driving license market und adapt it to the 21st century! We offer a state-of-the-art SaaS B2B solution as well as a revolutionising B2C booking & learning platform. Addressing 1.3m learners and 45k instructors in Germany p.a. efec creates mobile solutions based on state of the art technology. We focus on the most effective app technologies React Native, Flutter and serverless backends. If you have the Bits & Pretzels app on your device, you already use our solutions. The payment and SaaS platform for marketers and developers to sell digital products, courses and memberships. By optimizing financial processes in clinical trials, we help our clients focus on their core activities, save time and money, and deliver new treatments to patients faster. Our solution automates crucial tasks for sponsors, CROs and study sites. Founded in April 2015, fino brought the first automatic account switch of the industry online - after just five months. Since then, the dynamic team around founder Florian Christ has been setting new standards with its products every year. Frugee ist der Lieferservice für frische Obst und Gemüsekörbe in München, Berlin und Frankfurt. gridscale is a cloud technology manufacturer and the only European provider of infrastructure and platform services. The company is dedicated to cutting-edge technology, bringing cloud computing to the next level. hokify is the first fully scalable marketplace for mobile blue-collar recruiting with over 300K monthly active job seeking users and 15K registered companies in the DACH region. Inniti develops an IoT-based modular robot for the chemical research industry. Customers are chemical- and pharmaceutical organizations performing R&D with liquids and gasses. With our robot researchers can automate their processes and data logging. Karriere tutor® – The innovator of Digital Education Our digital learning platform offers learning courses, individually fitted to each participant. That's education on demand. Anytime, anywhere and for every device. metru offers a video-based web & app solution for recruiting. Recruiters define video questions and get a QR code. The applicant scans it with our app and starts a job interview. The video gives an authentic impression of the candidate. mobalo has developed an internationally applicable Geo-Grid and analyzes location and movement data points from (potential) customers in real time. Thus, marketing and advertising spend efficiency is increased. nuucon is the B2B-Marketplace for Interior. We connect professional buyers direct with the best emerging and premium brands from all over the world. patronus.io build fully automated web security solutions specifically tailored to online driven SMEs. Business Owners without specific IT Security knowledge can protect their Onlineshops & Websites against Hacker attacks & fulfill the new GDPR. We measure and improve the skills of students in company-specific technologies with the aid of a coding platform, by which we create a match between regional companies and up-and-coming developers. rebike1 is the No.1 digital Marketplace for used eBikes in Germany. We purchase used eBikes and sell them professionally refurbished. We also have a B2B (SMB) & B2C rental program. After rental and refurbishment all eBikes are sold on rebike1.de. sevDesk simplifies the accounting for small businesses and freelancers. With AI-based automation, we eliminate all the annoying tasks to get the pain out of the accounting process. Why should any businessman need to worry about accounting? shareDnC - Flexible offices for each business! shareDnC is Germany's leading platform for flexible offices. We connect the increasing demand for flexible office space with an unique and diverse offer - any size, any city & any budget. Easy to use cloud based shipping platform - driving retailers' success and revolutionizing logistics. All carrier in one interface. 42 shop-/ERP-Systems pre-integrated. No complex and expensive integrations needed. Increasing retailers' revenues. snapADDY is the right software for your sales team! Capture business cards and digital visit reports on the go with automated processes and data extraction to your CRM. Research and extract B2B contacts from diff. sources automatically to your CRM. staffboard unites Recruiting and HR Administration on one single SaaS platform. Our solution is tailor-made for Startups and SMEs. We simplify, digitize and automate complicated, periodical HR processes - flexible, scalable, secure for your success! enteron is a revolution in the maritime market. Living on bord just became carefree and sustainable! The sewage waste water just enters the enteron and comes out as clear water. No more hassle of dealing with faecies – no pumping out, no chemicals! tomsfive is an end-2-end eRecruiting Platform which enables companies to recruit on a personal level. Video, Smart Calender, ATS, Talent Pool, Job-Marketplace all on one single platform. Focus on the person while reducing your time to hire and costs! HRlab is the modern tool for Human Capital Management combining all HR processes and data in one solution. Including analysis and smart interfaces, HRlab is a complex, agile and user-friendly platform that optimizes HR management. uncovr is the first primary source service for journalists. Both search engine and news stream, uncovr enables access to millions of past and current press reports in company newsrooms, news services and press releases sent via e-mail. 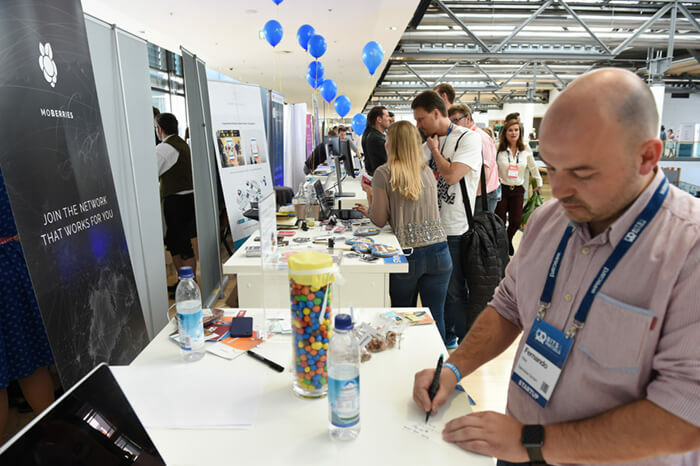 Want to be part of the Startup Exhibition 2018? It's all about boosting awareness that will help you grow, increase your media exposure and build profound business relationships with corporations and investors. Use your chance to get in touch with thousands of attendees, to present your company, and to find new clients and business partners.